Every door is an opportunity and behind the door is a mirror to your world...hinged to the possibilities of imagination and design. It is easy to be caught up in the latest trends, bombarded with images and ideas that can simply send one’s head spinning. Take the time to get to know yourself, what you like most, your inner aesthete, because your home can and should be an honest reflection of you and your family, a place to feel safe, comfortable and the domain to show off your personality. That much you deserve and I can help you on your journey. 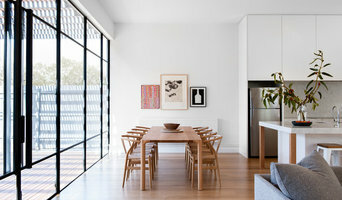 Studio mkn is an emerging Interior Design practice, based in Melbourne. The transformation of a conceptual idea into a physical space is what excites us and every new project brings new opportunities. We help clients to achieve their goals by developing intelligent strategies and design solutions that reflect their brand, personality and objectives. 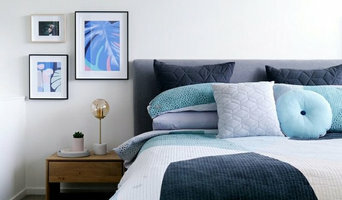 Born in the tropical climate of Colombo and raised in Melbourne, Danielle has always nurtured a passion for creating honest and alluring spaces. A deep calling toward the creative profession that is Interior Design and a genuine belief in the importance of taking care in the spaces that surround us led Danielle into the realm of bespoke interior projects. Taking creative inspiration from travels to New York, Portugal, Jamaica, Morocco, Spain, her home country of Sri Lanka and many more, coupled with an unmovable determination to bring a client's story to life in their home, Danielle makes it her business to recognise and honour the importance of the interior spaces around us. From one room to an entire home! 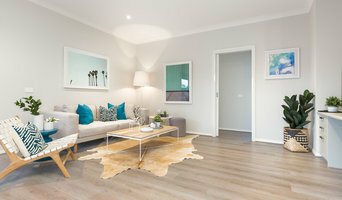 Loft Interiors specialises in: • Full Interior Design Schemes • Bathroom and Kitchen Planning & Selection • Spacial Planning • Commercial and Hospitality Design • Furniture Fitout Packages • Real Estate Sales Campaign Styling • Display Home Styling and Interior Design Packages With over 10 years of combined experience within the industry, we can assist you with all your interior design needs. Contact info@loftids.com for consultations and quotes! PLANNING With many years of experience, we expertise in planning, analysing and designing for the residential, retail, corporate and hospitality clients to achieve their dreams and vision. CONCEPT DESIGN Following the planning phase, we develop the concept for individual projects meeting the clients brief and evolve a holistic design. DESIGN DEVELOPMENT AND DOCUMENTATION Reviewing our concept design with the Client, we move forward with feasible, achievable design development and documentation. We ensure clients satisfaction and aid the builders in the construction process for achieving a successful project. SELECTION OF FINISHES Our Knowledge for new upcoming products, allow us to select a wide spectrum of stimulating materials FURNITURE SELECTION Furniture selection needs to go hand in hand with design and finishes. We consider comfortable, unique furniture for each project including selection and customisation to suit as per its needs. Interior Architects / Interior Designers specialising in spatial planning, bespoke joinery design, finishes & furniture. Principal Wendy Davey is a fully qualified Colour Designer and Interior Stylist, and is a member of the Design Institute of Australia. Cranberry Design offers customised design consultations and assessments based on your needs. We work with you to determine the look and feel you wish to create. Your first point of contact will always be Wendy Davey and she and her team will work through your project step by step. Cranberry Design can suggest a trusted team of builders, painters and architects or work with your chosen tradesmen to help you complete your renovation. I’m Susie Miles, an interior designer and design educator with 20 years of experience in residential projects including country and coastal properties. I'm on a mission to show you how to transform your house into a beautiful home you’ll be proud of, and add financial value to your greatest asset at the same time! When we work together, you'll discover how to unlock your personal style and design your dream home with the benefit of my expertise. I work with home owners who lack the time, confidence and experience, and often don’t know where to start, consulting with people one – on – one in their home projects, in web classes and workshops. We work with a team of local makers, trades and design professionals on projects of all sizes, focusing on designing interiors that are functional and comfortable to live in. Gallerie B Interiors specialises in providing thoughtful design and decorating ideas to create the home that best represents the client’s personality and lifestyle. I work in collaboration with the client to achieve a space that is both functional and beautiful. I can source a wide range of products to achieve this, in a timely and organised manner and within their budget. Ever had trouble finding the scent that ticks all the boxes? The Fragrance Room has hand selected and tested all the fragrances and products in the range, rest assured which ever fragrance you selected you can be confident it will produce beautiful aromas throughout your home or office. • Scented candles • Diffusers • Room Spray • Skin Care • Gift set • Oils Burners • Outdoor candles Our products are surely some of the best smelling candles on the market, superior scent throw and extended burn times. Using premium materials in all areas, expect only the cleanest burns, and fantastic scents. You know you have a great candle when you can smell it through the room without even needing to light it. We strive to find the best quality products, premium packaging and sell at the lowest prices, we have nothing but positive feedback across the country on our large range of products, come and try our products to be pleasantly surprised and wonder why you didn’t try us earlier. 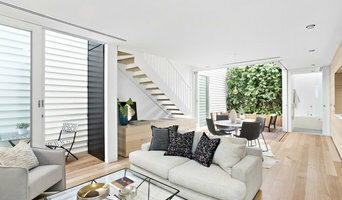 Geraldine Negri is an award winning Melbourne based Interior Design practice servicing Melbourne and parts of Victoria. We offer affordable design solutions that take a fresh, new approach to existing or new spaces. Geraldine Negri and her team of trade professionals incorporate the clients' taste and existing possessions into a design that offers warmth, functionality and most of all appeal that will last the test of time - "I'm for style, fashions change too often." COCO CHANEL is our company motto. Geraldine Negri is also a Valspar Colour Consultant.